We welcome the opportunity to earn your trust and deliver the best service in the industry! And we are proud to serve Brandon, Valrico, Riverview, Seffner, Lithia, and the surrounding areas. My name is Jorge Prada, and I am a certified, professionally trained groomer, and a Graduate of the Bay Area Pet Grooming Academy. My wife and I have been avid animal lovers our whole lives and have rescued many dogs over the years. Our furry family currently comprises of two dogs as well as caring for your four-legged friends! 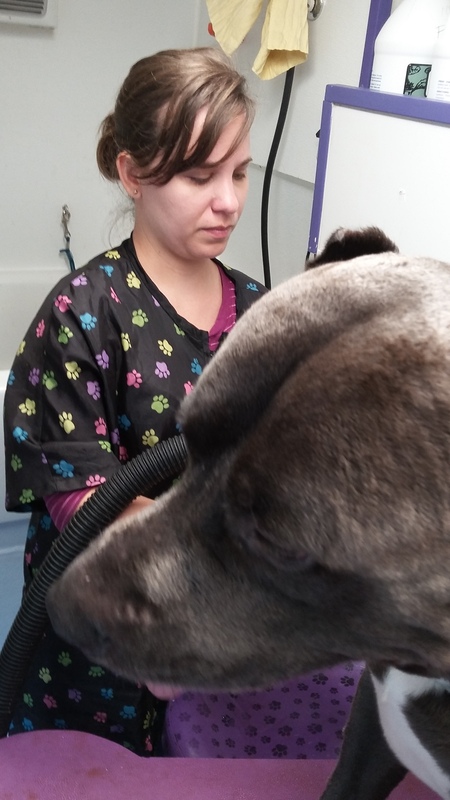 This business grew out of a problem most pet owners face – finding a groomer who understands the needs of our pets. Our old dog Junior, a poodle mix, used to experience nightmares after grooming. We just couldn’t find a groomer gentle or understanding enough to make Junior feel at ease. We needed someone who would not cage dry our dog, because Junior hated being crated and would whine and scratch for hours. Our rescued Chow Chow mix, Dulce, is easily scared, and she hated trips to the groomer’s shop – refusing to step her paws through the door time and time again. Our newest rescue dog is a very sweet Dachshund mix named Messi. Trips to the groomer didn’t scare him, but we knew Messi deserved better. Needless to say I was inspired to find a solution for my dogs and others in similar situations, which led to the beginning of a new career. Since then, I’ve never turned back, and my wife and I love what we do every day. We promise to love and care for your dogs like one of our own, and we always make sure to take the time to give a belly rub and bond with our four legged customers! tank for new and used water. • Heat & Air Conditioning: for comfortable grooming. • Generator: for all electrical needs. • System: ensures a clean, well-groomed pet. • Shampoo & Conditioner System: for a gentle luxury splash. • Vacuum: for a clean and sterile environment. • Hydraulic grooming table: to make it comfortable for your pet. If you, your dog, or your cat are curious about our mobile van, just give us a call at 813-506-1682. We are happy to show you our awesome vehicle! Serving Brandon, Valrico, Riverview, Seffner, Lithia, and the surrounding areas.